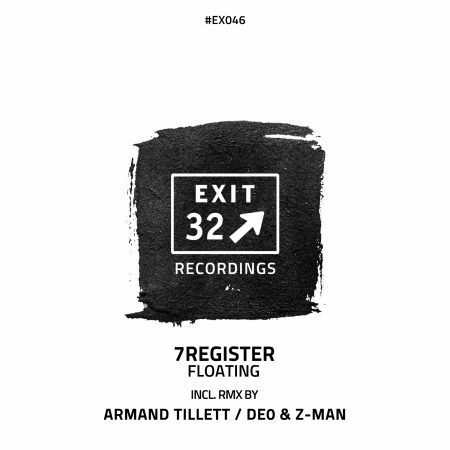 cutTheNoize » Blog Archive » 7Register – Floating // Exit 32 Rec. 7Register didn’t miss to ask for a remix from the two brothers Deo & Z-Man, who are known for their releases on labels like hafendisko or Jeudi Records or their dj-residency at legendary Pudel Club. They put this extra portion of joy, sickness and rawness into the track with African beats, cow-bells, whistles, moldered in that indie-guitar riff. So much fun here! personal trademark on the original: Straight forward, four-to-the-floor, not agitated but with a great dose of dirtiness and definitely something for the deeper tech-house floors. What more to say: All in all a full and vibrant sounding release with a lot deep-rooted joy in it. This entry was posted	on Thursday, August 23rd, 2018 at 8:57 am	and is filed under cutTheNoize. You can follow any responses to this entry through the RSS 2.0 feed. You can leave a response, or trackback from your own site.